^ ,"Amundsen-Scott South Pole Station",nsf.gov GEO-PLR,retrieved Feb.9,2014. Amundsen, Roald. The South Pole. London: C. Hurst & Company. 1976 . ISBN 978-0-903983-47-1. Barczewski, Stephanie. Antarctic Destinies: Scott, Shackleton and the Changing Face of Heroism. London: Hembledon Continuum. 2007. ISBN 978-1-84725-192-3. Cacho Gómez, Javier. Amundsen-Scott: duelo en la Antártida. Madrid: Fórcola. 2011. ISBN 978-84-15174-31-8. Cherry-Garrard, Apsley. The Worst Journey in the World: Antarctic 1910–13 1965. Harmondsworth, Middlesex (UK): Penguin Travel Library. 1970. ISBN 978-0-14-009501-2. OCLC 16589938. Crane, David. Scott of the Antarctic: A Life of Courage, and Tragedy in the Extreme South. London: HarperCollins. 2005. ISBN 978-0-00-715068-7. OCLC 60793758. Fiennes, Ranulph. Captain Scott. London: Hodder & Stoughton. 2003. ISBN 978-0-340-82697-3. OCLC 52695234. Huntford, Roland. The Last Place on Earth. London: Pan Books. 1985. ISBN 978-0-330-28816-3. OCLC 12976972. Huntford, Roland. Shackleton. London: Hodder & Stoughton. 1985. ISBN 978-0-340-25007-5. OCLC 13108800. Huxley, Leonard (编). Scott's Last Expedition, Volume I: Being the Journals of Captain R.F. Scott, R.N., C.V.O.. London: Smith, Elder & Co. 1913. OCLC 1522514. Huxley, Leonard (编). Scott's Last Expedition, Volume II: Being the reports of the journeys and the scientific work undertaken by Dr. E.A. Wilson and the surviving members of the expedition. London: Smith, Elder & Co. 1913. OCLC 1522514. Jones, Max. The Last Great Quest: Captain Scott's Antarctic Sacrifice. Oxford (UK): Oxford University Press. 2003. ISBN 978-0-19-280483-9. OCLC 59303598. Pound, Reginald. Scott of the Antarctic. London: Cassell & Company. 1966. Preston, Diana. A First Rate Tragedy: Captain Scott's Antarctic Expeditions paperback. London: Constable. 1999. ISBN 978-0-09-479530-3. OCLC 59395617. Riffenburgh, Beau. Nimrod: Ernest Shackleton and the Extraordinary Story of the 1907–09 British Antarctic Expedition paperback. London: Bloomsbury Publishing. 2005. ISBN 978-0-7475-7253-4. OCLC 56659120. 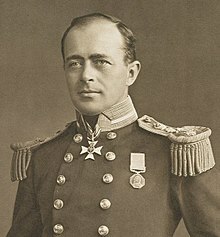 Scott, Robert Falcon. The Voyage of the Discovery. London: Nelson. 1905. Solomon, Susan. The Coldest March: Scott's Fatal Antarctic Expedition. London: Yale University Press. 2001. ISBN 978-0-300-08967-7. OCLC 45661501. Spufford, Francis. I May Be Some Time: Ice and the English Imagination paperback. London: Faber & Faber. 1997. ISBN 978-0-571-17951-0. OCLC 41314703. Thomson, David. Scott's Men. London: Allen Lane. 1977. ISBN 978-0-7139-1034-6. Dore, Jonathan. Crucible of Ice. The New York Times. 3 December 2006 [14 October 2011]. Five Ways to Compute the Relative Value of a UK Pound Amount, 1830 to Present. MeasuringWorth. [14 October 2011]. Mustain, Andrea. Wreckage of Doomed Explorer's Famed Ship Terra Nova Located. NBC News. 17 August 2012 [27 September 2012]. Captain Scott - Antarctic Explorer, covered in snow once more. Portsmouth Historic Dockyard. 25 January 2010 [23 July 2013]. （原始内容存档于2014年2月22日）. Rees, Jasper. Ice in our Hearts. Daily Telegraph (London). 19 December 2004 [14 October 2011]. Captain Scott Memorial. New Zealand Historic Places Trust. [14 October 2011]. Williams, Jack. Heroic age still lives in Antarctica. USA Today. 16 January 2001 [24 February 2011]. 斯蒂芬, 茨威格. 《人类的群星闪耀之时》之《夺取南极的斗争》. 生活·读书·新知三联书店（中文译本）. 1986.